Here's a pretty little purse for your guests that is the perfect accessory for every outfit! Our handy 3" by 3" compact mirror has a hard molded plastic outer compact that opens to reveal a dual-sided mirror interior. 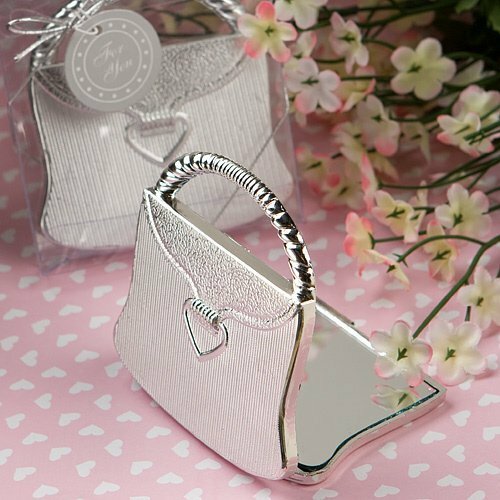 The silver colored favor is shaped like a handled handbag and comes individually packaged in a clear gift box with silver bow and matching "For You" tag.